On this website you can find useful information about San Francisco International Airport: Arrivals, Departures, Terminal information, Parking, Car rental, Transport, Accommodation, Amenities and Services, among other information. Plan your travel to SFO airport with the information provided in this site. San Francisco Airport (SFO) is formed by an international terminal and three domestic terminals. 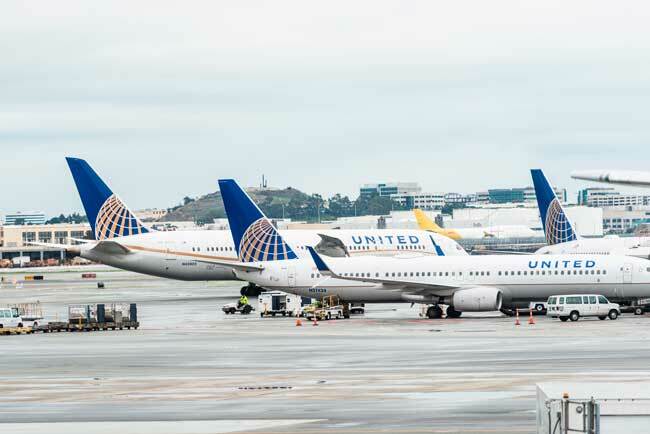 San Francisco Airport (SFO) is a hub ofr United Airlines. The BART at San Francisco Airport (SFO) is the best way to get to downtown. 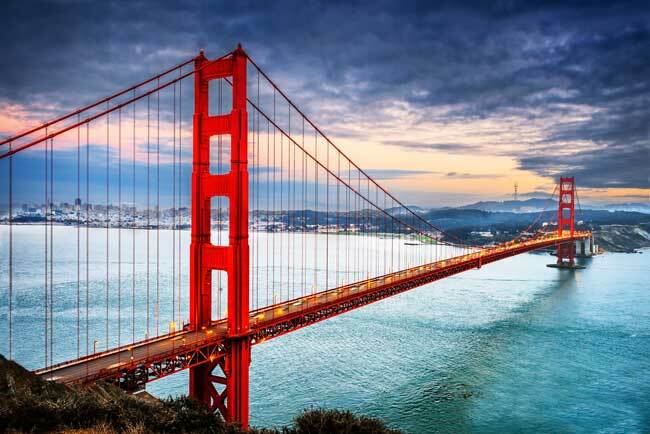 A wide famous sight of San Francisco is the magnificent Golden Bridge. Cable cars are probably the most iconic way of transportation to move through San Francisco. San Francisco International Airport (IATA: SFO, ICAO: KSFO, FAA LID: SFO) is the main international airport serving the city of San Francisco. It is located 13 miles (21 km) south of San Francisco downtown, close to the cities of Millbrae and San Bruno, although it is located in San Mateo County and managed by San Francisco City and County. SFO Airport is the largest one in Northern California region and also the second busiest in California after Los Angeles Airport. United Airlines has a hub, being its fifth largest one, and also Alaska Airlines. San Francisco Airport is the seventh busiest airport in the United States and the 23rd worldwide. Top 10 busiest international routes from San Francisco Airport are London, Hong Kong, Taipei, Seoul, Vancouver, Frankfurt, Paris, Beijing, Toronto and Shanghai. San Francisco Airport handled 55,832,518 passengers in 2017. San Francisco Airport consist of four terminals: A single International Terminal and three Domestic Terminals. - International Terminal: Hosts inbound and outbound international flights from SFO Airport. It is home of Boarding Areas A (Gates A1-12) and G (Gates G91-102). 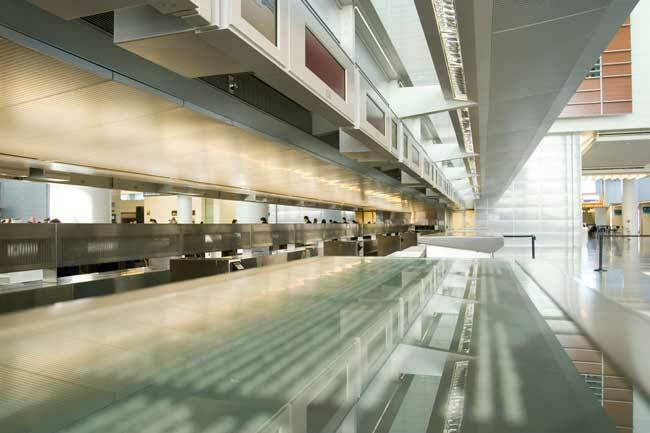 - Domestic Terminal 1: It is home of Boarding Areas B (Gates B20-39) and C (Gates C40-48). - Domestic Terminal 2: It is home of Boarding Area D (Gates D50-59). - Domestic Terminal 3: It is home of Boarding Areas E (Gates E60-69), F (Gates F70-90) and G (G91-102), sharing some gates with the International Terminal. 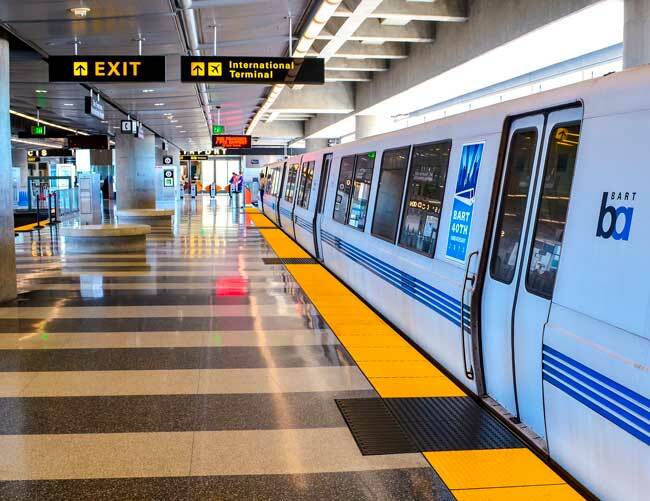 The Air Train connects SFO Airport terminals with their parking garages and further locations within the airport. San Francisco is the the cultural, financial and commercial centre of Northern California, aside of being the City and the County of San Francisco. The city is located at the top north of the San Francisco Peninsula in the San Francisco Bay Area. It is the fourth most populous city in California. 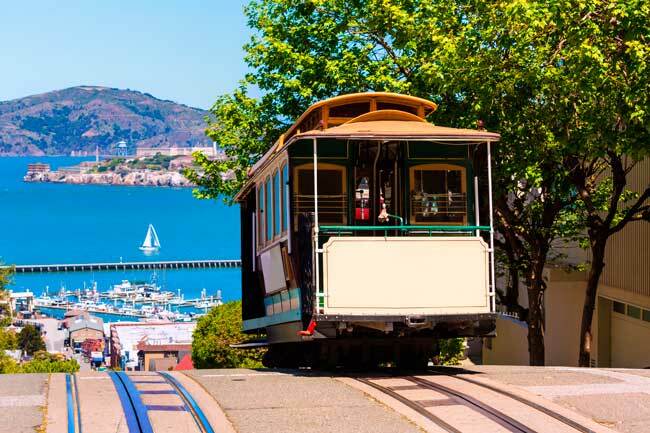 The city is a popular tourist destination in the US given its cool summers and architecture, especially for the Golden Gate Bridge, cable cars, the former Alcatraz Federal Penitentiary and the famous Chinatown district. We also have to highlight that is was here where the famous LGTB activist Harvey Milk was born and assassinated.